Ecstasy's psychological effects can include but are not limited to confusion, depression, sleep problems, anxiety, and paranoia during, and sometimes weeks after, taking the drug. Research has proven that 4 days of exposure to Ecstasy caused damage that persisted 6 to 7 years later. Brain imaging research in humans shows that MDMA causes injury to the brain, affecting neurons that use the chemical serotonin to communicate with other neurons. The risks associated with MDMA use are similar to those found with the use of cocaine and amphetamines. Physical side effects associated with Ecstasy use include muscle tension, involuntary teeth clenching, nausea, blurred vision, rapid eye movement, faintness, and chills or sweating. Ecstasy content varies widely, and often consists of substances entirely different from MDMA, ranging from caffeine to dextromethorphan. Emergency room records indicate that MDMA is becoming increasingly popular among marijuana users, with reports of MDMA in combination with marijuana increasing from 8 in 1990 to 796 in 1999. MDMA is an U.S. Schedule I controlled substances, and is illegal to manufacture, possess, or sell in the United States. Typical oral doses of MDMA range from around 80 to 160 milligrams. When Ecstasy is taken orally, the effects manifest about 30-45 minutes later. MDMA was first synthesized and patented in 1914 by the German drug company by the name of Merck. Memory tests of Ecstasy users as compared to non-drug users have shown that the Ecstasy users had lower scores. Methylenedioxyamphetamine (MDA) and methylenedioxyethylamphetamine (MDEA) are drugs chemically similar to MDMA. 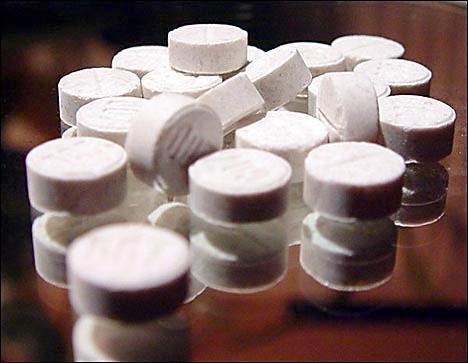 MDMA is taken orally, traditionally in tablet or a capsule form, and its effects last approximately 3 to 6 hours. Side effects such as confusion, depression, sleep problems, anxiety, and paranoia have been reported to occur even weeks after MDMA is taken. MDMA can produce a significant increase in heart rate and blood pressure and a sense of alertness like that associated with amphetamine use. The stimulant effects of MDMA enables users to dance for extended periods of time, which could lead to dehydration, hypertension, and heart or kidney failure. MDMA can be extremely dangerous in high doses, and can cause a significant increase in body temperature (malignant hyperthermia), causing muscle breakdown and kidney and cardiovascular system failure which has been reported in some fatal cases at raves. MDMA use may also lead to heart attacks, strokes, and seizures in some users. MDMA is neurotoxic, and chronic use produces long-lasting, perhaps permanent, damage to the neurons that release serotonin, and consequent memory impairment.